The International School Foundation (also registered as the International School Development Foundation) is a not-for-profit foundation established in Lansing, Michigan, USA, as a 501c3 charitable foundation, philanthropic contributions to which may be claimed against U.S. taxes. The mission of the Foundation is to assist in the management and development of small international schools with a U.S. orientation in locations having a sustainable population for school development. The ISF also has an interest in educational programs in the United States that would attract international students. ISF has assisted with the establishment of schools in Australia, China, Indonesia and South Africa, including the International School of Perth (established 2001 and now under different management as the International School of Western Australia), the North Jakarta International School (established in 1990 with management shifted to the Podomoro Corporation in 2012), Hangzhou International School (HIS, established in 2002), Shanghai Community International School (SCIS, established in 1996, with two campuses in Hongqiao, one for PreK-12th Grade campus and the other exclusively for Early Childhood, and two campuses in Pudong, one for Upper School and the other for and Lower School), and the American International School of Cape Town (AISCT, established in 1997). All of these schools have been accredited by the Western Association of Schools and Colleges (WASC). ISF is also in the process of establishing Bay Valley International Academy in Bay City, Michigan. BVIA will provide a program enabling candidates holding college degrees in any field to become credentialed in the field of Early Childhood Education. Each ISF-affiliated school was established and is registered according to its own Deed of Foundation, prepared according to the laws of the Ministry of Education in each respective country. Each school operates on a not-for-profit basis, and each has its own Board of Governors. The International School Development Foundation is currently under the sole direction of Larry Balli. Previous co-directors included Michael Dougherty and Kristy Dewi, and these three continue to sit on the individual school boards of AISCT, HIS, and SCIS. Mr. Balli has been a teacher and administrator in international schools since 1972, and is a former headmaster of Jakarta International School, one of the largest such schools in the world during his tenure. Mr. Dougherty has been a teacher and administrator in international schools since 1976, and was the founding headmaster of North Jakarta International School, which he headed for eleven years. Ms. Dewi has worked in international schools in various administrative capacities since 1984, and was involved in the financial management of the ISF-affiliated schools. Most of the individual school boards also comprise additional members of the respective local communities, both expatriate and host country. This model of international school governance (as contrasted with annual elections from interested members of the parent community) is referred to as the corporate model, and has been endorsed by the National Association of Independent Schools as the most effective school governance model. Governance protocol includes parent input via various channels of communication established at each school, surveys, and parent organizations. Each school’s administration has responsibility for hiring teachers, but Mr. Balli remains active in the teacher recruiting process for all of the schools. He also considers requests for the transfers of teachers wishing to work at one of the other schools. Recruiters for these schools attend major international recruiting fairs held each year. Administrators also hire before the commencement of the recruiting fairs, usually via Skype or telephone interviews. Our recruiters seek qualified teachers with a spirit of adventure, a sense of humor and wonder, a love of teaching children, and a willingness to work with students outside of the classroom in sports and other after-school activities that enhance the life and spirit of the school. Candidates should be certified and have at least two years’ relevant teaching experience. All ISF-affiliated schools are accredited by WASC, and offer a U.S.-based, international school program for students in Preschool through Grade Twelve (depending on campus). 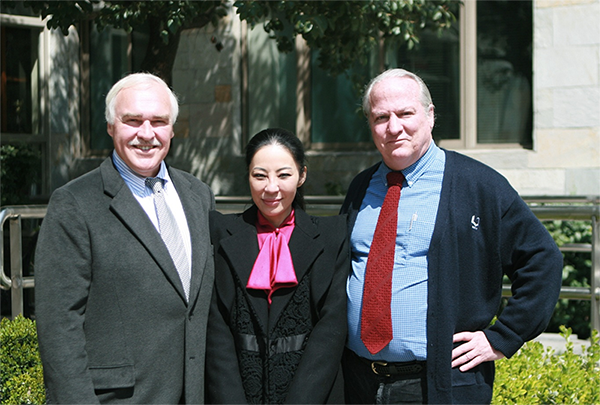 The IB Diploma program is offered at SCIS-Hongqiao and at SCIS-Pudong. AP course work and examinations are offered at some of the schools. Interested teaching candidates should send a resume, a letter of interest which lists the grade levels and/or subject areas which the candidate would feel comfortable teaching, the sports or other extra-curricular activities which he or she could help with, a photograph, and, if applicable, a Skype address. All of this should be sent via e-mail attachment to the school in which the candidate has in interest.